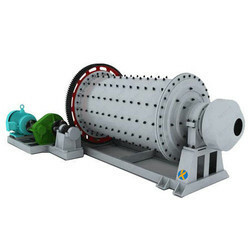 Offering you a complete choice of products which include ball mill. Ball mill, a type of grinder, is a cylindrical device used in grinding (or mixing) materials like ores, chemicals, ceramic raw materials, and etc. Ball mills rotate around a horizontal axis, partially filled with the the material to be ground plus the grinding medium.